We are offering Automatic Self Contained Tracing System to our clients. We are recognized as one of the most reputed manufacturers and suppliers of lathe machines and lathe machine accessories including Taper Turning Attachments that are also known as Hydraulic Copy Turning Attachments. 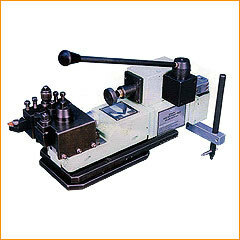 Hariss Machines offers a universal hydraulic copy turning attachment, marketed all over India for the last 30 years. Radius turning attachment for machinist trade. 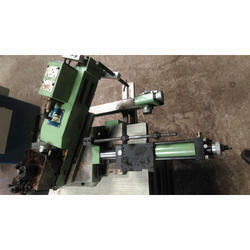 We are the prominent manufacturer & supplier of a wide array of Hydraulic Copying Attachment Machine. The offered range is manufactured using the finest grade raw material and latest techniques. Durability, robustness, high efficiency and excellence finish are some of the salient features of these attachments. - One more item, an exclusive development by ATECH team and is available exclusive with us. We made this ball turning attachment specially for Chinese Lathes, its center height is only used as for their Big Lathes Machines. Please contact us for the height of the attachment. Attachment available at present in two models with manual or automatic cycle. More models will be introduce soon. These attachment can be mounted normally on rear of cross slide of lathe machine. Optionally can be made suitable for front mounting. No skilled operator required as operation is quite easy. Repeative accuracy ± 0.